"How about we consider one of the water worlds in our solar system — Titan," wrote Janelle Wellons last week on the popular message board. Wellons and other engineers, scientists, pilots and project managers from NASA's Jet Propulsion Laboratory answered a host of questions about The Final Frontier and the US space agency's plans for exploring it. "Titan is the largest moon of Saturn, larger than the planet Mercury even, so I think we could settle with plenty room," she noted. The cloudy yellow moon has 14 percent of Earth's gravity, meaning it wouldn't feel quite like home, but its thick atmosphere would make life a lot easier than the thin air of Mars or Earth's moon, where humans would have to wear special pressure suits. "It is so dense that we could actually attach wings to our arms and fly on this moon," Wellons noted. "Titan is the only place besides Earth known to have liquids in the form of lakes and seas on its surface. These liquids are made of methane but, armed with the right kind of protective gear, one could theoretically be able to swim without harm," she noted. Of course, being quite far from the sun and swirling in clouds, the average temperature on Titan is —290 degrees Fahrenheit (-179 Celsius). Plus, it takes years to get there, during which time astronauts would have to tolerate radioactive waves from the sun, plus microgravity and the sheer emotional and physical stresses of the trip. 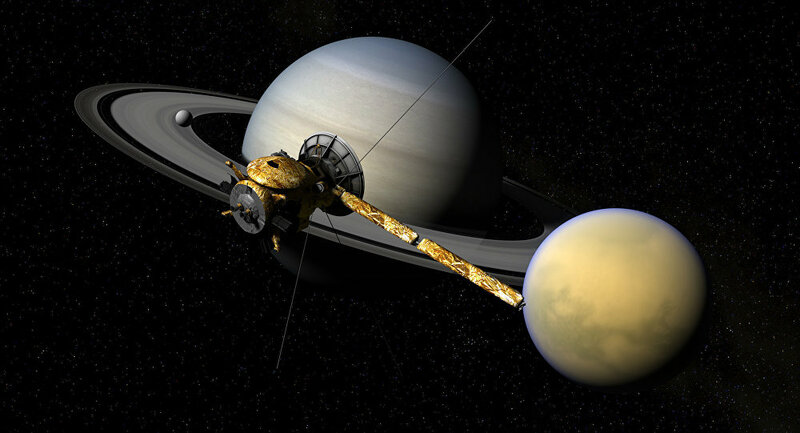 The Cassini probe, which Wellons worked on, took seven years to reach the Saturn system for its study of Titan, which yielded much of the information we have about the moon today. Other scientists have floated the idea of a human base on Titan, too. British astrophysicist Brian Cox from the University of Manchester once told host Stephen Fry on an episode of the BBC panel show "QI — Quite Interesting" that one could "shatter an Ewok" in one of Titan's lakes of super-cold liquid methane. "I don't know, it just seems like an awesome place to live," Wellons told the curious Redditors. No argument there!